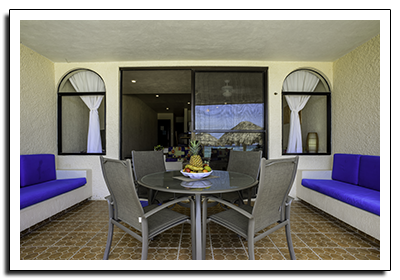 At Villas DeRosa we have two buildings with three levels in each building. 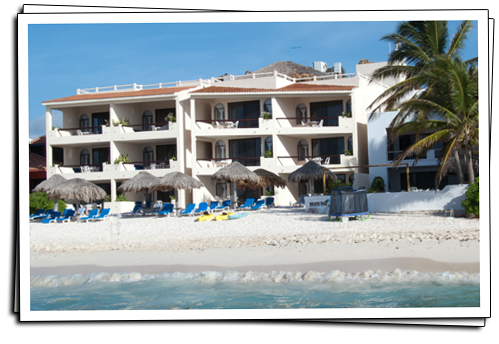 There are 1, 2, and 3-bedroom condos facing the beach, and hotel rooms facing the swimming pool with garden view. 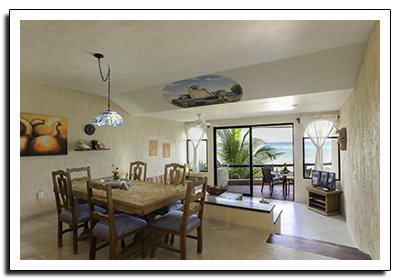 In each of the beach front condos there are large and spacious living areas. These living areas are all the same size with the same type furniture and have the same blue tile. 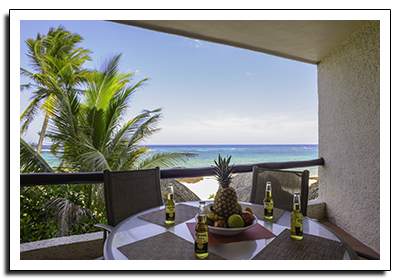 Each beach front condo will have a private terrace overlooking the ocean with large sliding glass doors entering the living room. From the living room there are two steps up into the dining room with a large dining room table. On the other side of the dining room is the full kitchen. From all these rooms there are beautiful ocean views. 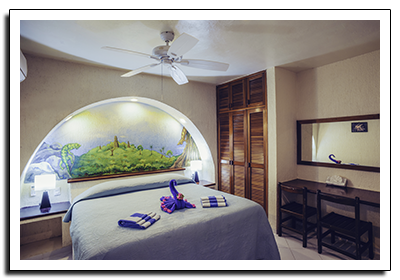 In each bedroom there is a choice of one king size bed or two twin size beds. 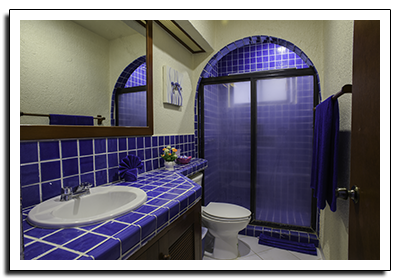 Each of our bedrooms has its own private bathroom, so if you choose a three bedroom condo you will have three bathrooms. 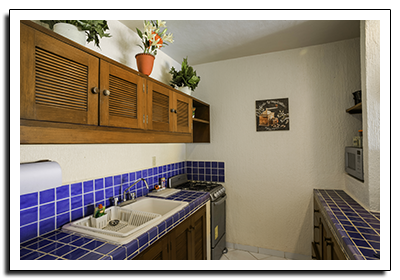 For your enjoyment, Villas DeRosa will provide daily maid service, purified water and WiFi in every condo and hotel room. There are many more Amenities available at Villas DeRosa. Meals and snacks can be ordered from our Menu and delivered to your own private dining room overlooking the beautiful Caribbean sea.